There are changes afoot at The Mail and The Sun. 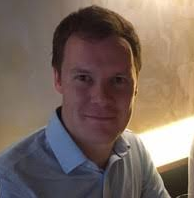 Mike Anstead, online sports editor of The Mail, is joining The Sun as assistant sports editor on the paper. Moving in the other direction is Matt Gatward, the new deputy sports editor of The Mail. Anstead (left) has been running the sports department on Mail Online for 10 years where he worked under former head of sport Lee Clayton, now head of sport at talkSPORT and publisher Martin Clarke. Anstead started his career at the Barking and Dagenham Post in 2003, covering ‘the mighty’ Dagenham and Redbridge (his words). He joined The Mail in 2009 from The Sun’s digital sports team. Gatward has been at The Sun since 2016. Before that he was head of sport on The Independent and heavily involved in the launch of the i and moving the paper to a digital format. He arrives as number two to new head of sport Marc Padgett. The Mail’s much-read Sports Agenda column is to continue under the editorship of newly-promoted executive news editor Laura Williamson, following the retirement of Charles Sale.